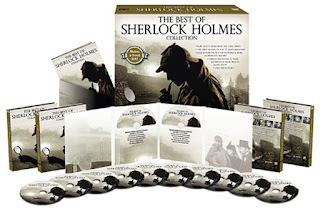 Film Chest Media Group will be teaming with Topics Entertainment on Dec. 6 for the release of the 12-disc mega-collection titled The Best of Sherlock Holmes Collection. You can’t watch the material presented here in just one day — even if you went non-stop! 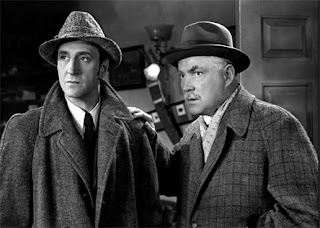 68 selections in all, including Basil Rathbone and Nigel Bruce starring in a collection of classic Sherlock Holmes films, plus other rare Sherlock Holmes screen delights — including his first film appearance (1900 – Sherlock Holmes Baffled) — and the complete first season of the 1954/55 Sherlock Holmes television series starring Ronald Howard as Sherlock Holmes, Howard Marion Crawford as Doctor Watson and Archie Duncan as Inspector Lestrade. Also ready for the gift-giving season on Dec. 6 is the price-to-own four-disc set showcasing the comedy talents of Betty White. The SRP is just $9.98!!! 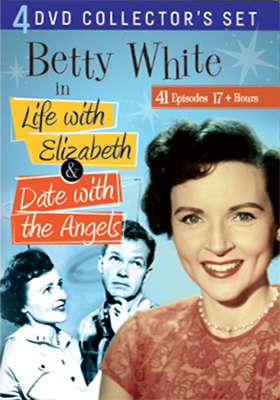 Titled Betty White in Life With Elizabeth and Date With the Angels, which is quite a mouthful, features 20 episodes from Betty White’s Life with Elizabeth television series and 21 episodes from Date With the Angels. Life with Elizabeth ran from 1953 through 1955 and teamed her with Del Moore as a husband and wife team. What was unique about each show is that the comedy set-ups were divided into three short comedy routines or “comedy bits,” complete with Jack Narz as the “announcer” — sort of a referee for the mischif that Elizabeth (Betty White) would cause and leave her husband Alvin (Moore) fuming. After a year off (1956), Betty White returned with the sitcom, Date With the Angels. She played Vickie Angel and her husband, Gus (Bill Williams), was an insurance salesman who constantly found himself bewildered by Vickie’s self-induced predicaments! Paramount Home Media began its first wave of Q1 2017 DVD and Blu-ray product announcements this past week and there are some nice things planned for January. Leading the hit parade, which is only natural for Lucille Ball, is the Jan. 17 DVD release of I Love Lucy: Superstar Special #2, which includes both colorized and the original broadcast black and white versions of two classic episodes — both plucked from the 1955/56 season. 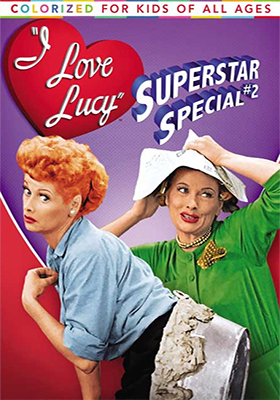 The first is the October of 1955 episode, “Lucy Visits Grauman's,” which finds Lucy and her sidekick Ethel (Vivian Vance) visiting the iconic Grauman's Chinese Theatre on Hollywood Blvd. and coming away with a very unique souvenir. The second episode getting special treatment here is titled “Lucy and John Wayne,” which was also first broadcast in October of 1955. This is basically the second part to “Lucy Visits Grauman's” as that “unique souvenir” involves John Wayne! Also in January — streeting on Jan. 10 — is the next full season of the Comedy Central series starring Abbi Jacobson and Ilana Glazer, Broad City: Season 3. 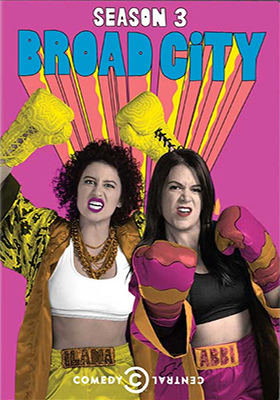 This double-disc DVD collection features all ten episodes — yes, uncensored — featuring such guest stars as Cynthia Nixon, Alan Alda, Tony Danza, Melissa Leo, Whoopi Goldberg, Susie Essman, Bob Balaban, Vanessa Williams, Seth Green (in a two-parter) and even Hillary Clinton. 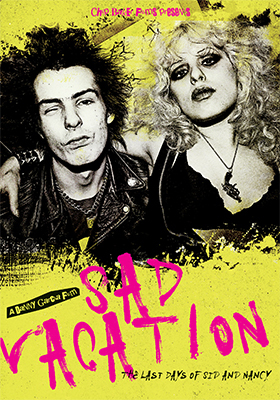 MVD Entertainment Group has tabbed Friday, Dec. 9 as the DVD debut date for documentary filmmaker Danny Garcia’s Sad Vacation: The Last Days of Sid and Nancy, a provocative exploration of the final days of Sid Vicious and Nancy Spungen. 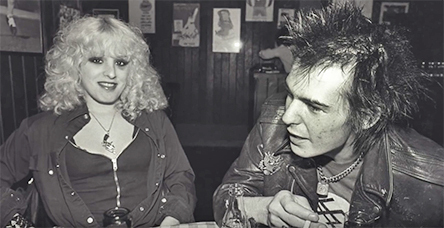 As filmmaker Danny Garcia tells it, he had finished his 2014 bio-doc on New York Dolls’ Johnny Thunders, Looking for Johnny, and had, in the process, accumulated quite a bit of material on Sid Vicious and the mysterious death of his girlfriend, Nancy Spungen. It only made sense that he follow up on that story as there was quite a bit of crossover between the world of Sid Vicious and Johnny Thunders. What emerged is Sad Vacation: The Last Days of Sid and Nancy, a riveting look at what might have happened in the Hotel Chelsea in New York City during the night of Oct. 12, 1978. One thing is certain, Nancy Spungen bled to death of a knife wound. Sid Vicious was charged with her murder, but died of a drug overdose before coming to trial. Case closed! 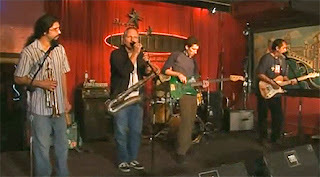 Through reenactments and interviews with such contemporaries as Sylvain Sylvain (of the New York Dolls), photographer Bob Gruen, Walter Lure (The Heatbreakers), writer and music promoter Leee Black Childers, Howie Pyro (D Generation), Kenny Gordon (Pure Hell) and Cynthia Ross (The B- Girls), Garcia is able to make a strong case that others might have played a role in Spungen’s death. In any case, the interview sessions are worth the price of admission on their very own! Bonus goodies include additional video sessions that didn’t make the final cut. Mill Creek Entertainment “teased” its first home entertainment product offering for 2017 last week — and it was a pretty “big” tease — with the Jan. 3 DVD debut of the five-part look at the mysterious creatures known throughout the world by such names as Yeti, Sasquatch or just Bigfoot. The release is titled Chasing Bigfoot: The Quest for Truth. This week that early January “footprint” grew even bigger! Also hitting retail shelves on Jan. 3 is the restored Blu-ray presentation of filmmaker H.B. Halicki’s 1974 independently produced action blockbuster, Gone in 60 Seconds. Henry Blight Halicki — aka “Toby” — saw what Tom Laughlin had accomplished by taking back control of Billy Jack after Warner Bros. had bungled the initial 1971 film release. As a result of Laughlin’s success, four-walling theatres (renting the theatre at a guaranteed price) became all the rage in the early 1970s and H.B. Halicki was right there in the vanguard with Gone in 60 Seconds as writer, director, producer, star and distributor! He turned a reportedly $150,000 investment into $40 million in box office receipts! 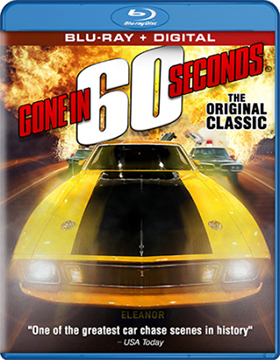 While he is the human star of the film — even doing his own stunts — the real star of Gone in 60 Seconds is the elusive “Eleanor,” a 1973 Ford Mustang, which is part of a 48-car shopping list that Maindrian Pace (Halicki) and his crew must steal in just five days. 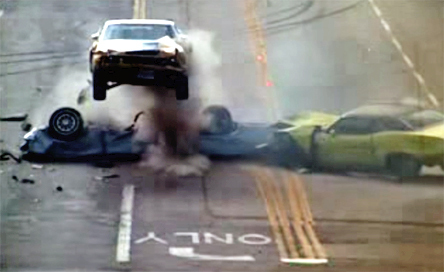 The climax of the film, which is still one of the best stunt sequences ever put to film, is a 30 minute-plus chase sequence that required the destruction of close to 100 automobiles … and our anti-hero got away clean (cleverly so, we might add)! 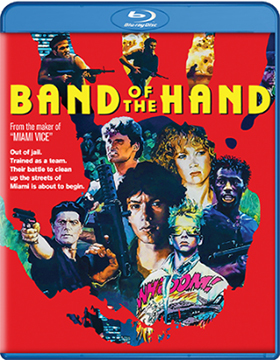 Mill Creek Entertainment will be releasing this Blu-ray action gem with a SRP of just $9.98! Bonus goodies include footage of Eleanor going through her paces and video sessions with drivers Parnelli Jones and J.C. Agajanian Jr. (who both had small roles in the film) as well Lee Iacocca and Bobby Ore. The following week, Jan. 10, Mill Creek is back with the Blu-ray debut of actor-turned-director Paul Michael Glaser’s 1986 film release of Band of the Hand. In the process they become a fighting machine and decide to clean up the streets that made them the young criminals that they had become … of course when drug lord “Cream” (played by Laurence Fishburne) learns of this it is all out war! 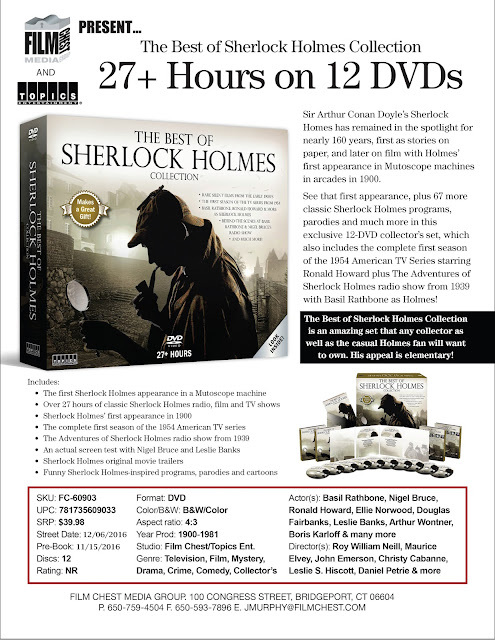 Also heading home on Jan. 10 from Mill Creek Entertainment are three priced-to-own DVD film collections. The first of these is 80's Beat, a double disc collection featuring eight films showcasing the talents of the hottest new stars from the 1980s … the SRP is just $14.98. Included in the mix are True Believers (Robert Downey Jr.), The New Kids (James Spader), Little Nikita (River Phoenix), The Legend of Billie Jean (Helen Slater and Christian Slater), Private Resort (Johnny Depp), Like Father Like Son (Sean Austin, Kirk Cameron), Side Out (C. Thomas Howell) and Flatliners (starring everyone … Julia Roberts, Kiefer Sutherland, Kevin Bacon, William Baldwin and Oliver Platt). The next collection, priced at just $9.98, is the single-disc, four-film set titled Don't Forget About Me. This includes The Freshman (1990, teaming Marlon Brando with Matthew Broderick), Immediate Family (1989, starring Glenn Close, James Woods and Mary Stuart Masterson), Fresh Horses (1988, stars Andrew McCarthy and Molly Ringwald) and No Small Affair (1984, finds Demi Moore teamed with Jon Cryer). 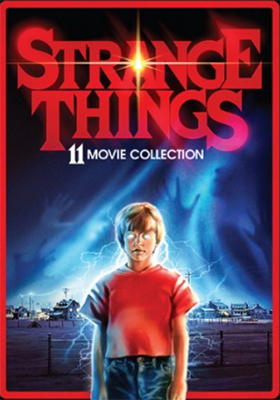 And last, but not least in this first wave of 2017 DVD and Blu-ray product offerings from Mill Creek Entertainment is the double-disc, 11-film collection titled Strange Things. The SRP for this sci-fi and horror blend is just $14.98. On the sci-fi side of the ledger are Spacehunter: Adventures in the Forbidden Zone, Krull, Slipstream and Alien Contamination. 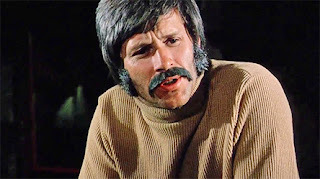 For horror fans, Mill Creek has included Pulse, My Mom’s a Werewolf, The Hearse, Lurkers, Mutant, Death Warmed Up and Eternal Evil (aka: The Blue Man). 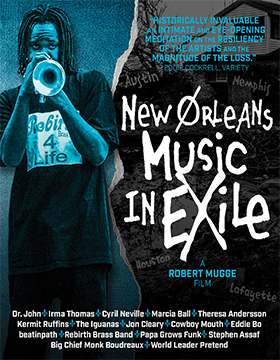 Documentary filmmaker extraordinaire, Robert Mugge, will be joining forces with MVD Entertainment Group on Friday, Nov. 18 for the Blu-ray debut of the critically acclaimed music-themed documentary, New Orleans Music in Exile. On Aug. 29, 2005, Hurricane Katrina slammed into New Orleans and the levees failed … the rest, they say, is history. The physical damage to the city was catastrophic, but there was more … the musical heart of the city was shattered in the process as well. In the aftermath of the disaster, Mugge took to the road to trace the whereabouts of the musicians who had been the soul of the city; the heartbeat. He discovered that they were now in “exile” — scattered from Memphis to Austin and all points in between. 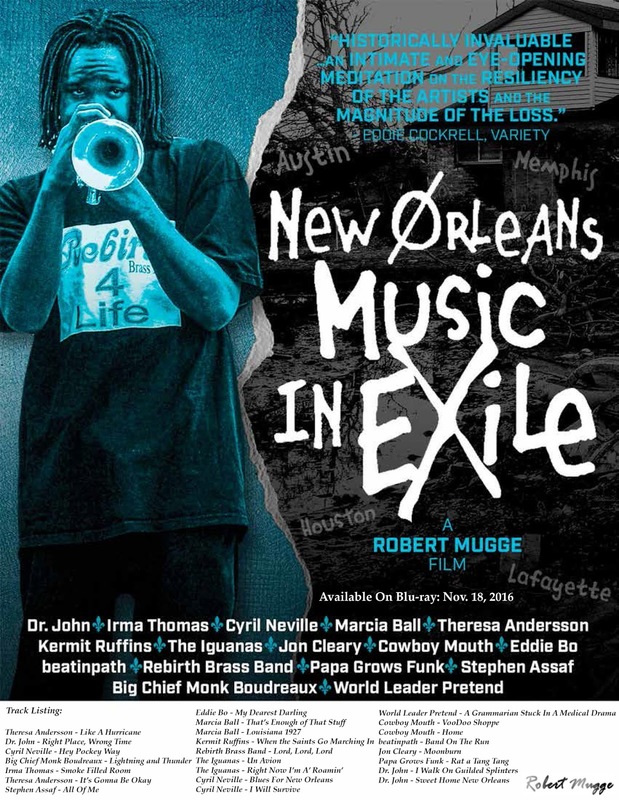 Rather than replay the despair, he gathered together their memories — through poignant interviews — and, more importantly, he gathered together their music in an incredible collection of 24 magical performances, featuring the likes of Cyril Neville, Dr. John, Marcia Ball, Theresa Andersson, The Iguanas, Jon Cleary and more. Plus there are six bonus performances that are not included in the film itself and seven extended musical numbers. Additionally, this Blu-ray release of New Orleans Music in Exile also features two bonus short films, David Spizale: A New Orleans Rescue and Jon Cleary: A History of New Orleans Piano. Walt Disney Studios Home Entertainment made it official this past week that they will not be issuing any 4K Ultra HD titles during 2016. Disney remains a steadfast holdout when it comes to providing titles for this newly-launched, studio-support hi-def format. The news arrived about the studio’s lack of support for 4K Ultra HD in a sort of back-handed way with the press announcement that director Derek Cianfrance’s film adaptation of the M. L. Stedman novel, The Light Between Oceans, will be its kickoff DVD and Blu-ray product offering for 2017 — and with that, 2016 comes to a close. The street will be Jan. 24. They had wisely shuffled the street date for The BFG in recent weeks (moving it to Nov. 29 to escape a Universal Pictures Home Entertainment thumping by The Secret Life of Pets and Jason Bourne on Dec. 6), but industry watchers were holding out some slim hope that there might be a 4K Ultra HD commitment for Star Wars: Episode VII - The Force Awakens timed to take advantage of the Dec. 16 theatrical launch of Rogue One: A Star Wars Story. That’s not going to happen. 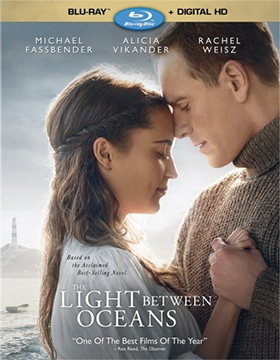 The ARR for The Light Between Oceans works out to 137 days and multiplex ticket sales were a dismal $12.3 million. As to bonus features, the DVD SKU is limited to a commentary option featuring writer/director Derek Cianfrance (The Place Beyond the Pines, Blue Valentine), who is joined by University of Colorado film professor Phil Solomon. 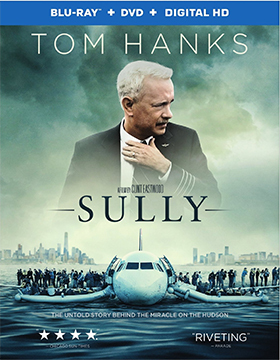 Some of the jump-the-gun websites had street date information a little over a week ago that tagged director Clint Eastwood’s Sully with a Dec. 20 release window. We held off in anticipation of a formal announcement from Warner Bros. Home Entertainment. Tick tock … tick tock … that formal announcement finally arrived this past week. And yes, the early news was correct, it will be available on Dec. 20 as a three-SKU product offering. The ARR comes in at 102 days and ticket sales were a robust $122.4 million. 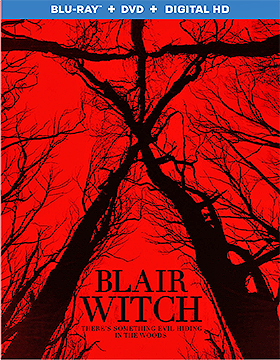 Planned for release are a 4K Ultra HD/Blu-ray Combo Pack, a Blu-ray/DVD Combo Pack and a double-disc DVD edition (bonus features are on the second disc, which can be dropped for a DVD-only version at rental kiosks or subsequent price-promotions that might be in the offing from Warner Bros. Home Entertainment). Once again Clint Eastwood, the master filmmaker, delivers both a commercial film (on time, under budget) and a critically-acclaimed film that is likely to be in the Oscar mix — although it is going to be a tough slough with Mel Gibson’s Hacksaw Ridge in the running as well … and don’t discount the Academy of Motion Pictures Arts and Sciences efforts to muck everything up in the Best Picture race with all sorts of vanity projects that get gushing reviews that no one really wants to see (they’ve been working very hard these past few years on destroying the brand — do we really need up to ten Best Picture nominees???). Retailer Best Buy jumped the gun — no pun intended — this past week with respect to the home entertainment release news for director Antoine Fuqua’s remake of The Magnificent Seven, which was, in turn, a 1960 Western-adaptation of filmmaker Akira Kurosawa’s 1954 masterpiece, Seven Samurai. The retailer says (and Ingram’s Videoeta website confirms it) that Dec. 20 will be the street date for DVD, Blu-ray and 4K Ultra HD/Blu-ray Combo Pack editions. The ARR for that date is a swift-to-market 88 days and box office receipts currently stand at an impressive $91.2 million. While it is understandable that everyone is eager to start taking orders — especially with this tight release window — they have, in the process, neglected to wait for Sony Pictures Home Entertainment’s official announcement, which will certainly contain information relating to the bonus features that will be available. Packaging became available late in the week, which included bonus feature details. 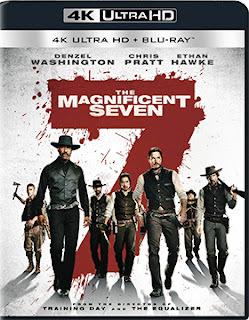 These are deleted scenes, a half-dozen production featurettes and something called “Vengeance Mode,” which features filmmaker Antoine Fuqua and members of the cast breaking down key scenes and the making of the film. Lionsgate Home Entertainment’s disastrous re-launch of the Blair Witch film franchise, director Adam Wingard’s Blair Witch, will be heading to the home entertainment market place on Jan. 3 as DVD and Blu-ray/DVD Combo Packs. No 4K Ultra HD for this one. The ARR is 109 days and domestic ticket sales were a lackluster $20.7 million.